Under the pitch and pull of Hey Rosetta’s! kaleidoscopic offering at the Rebecca Cohn, a sold out audience was reborn. As a Newfoundland-based seven piece, Hey Rosetta! is a small indie orchestra. After witnessing their dynamic vistas for nearly a decade, playing dive bars, campus pubs, hotel ballrooms and even going door-to-door caroling (or better known as wassailing in Newfoundland) together a few Christmases ago in St. John’s, it was an honour to experience the band from the panoramic view of the Rebecca Cohn, a legendary soft-seated theater, transformed by a lightshow that opened like a sunrise, and set over us like a moonlit sunset. While our hearts rolled in non-stop rhythm, held down by Phil Maloney on drums, guitarist Adam Hogan and Josh Ward on bass, Hey Rosetta! are equal parts alchemy and wonder, a cast of exceptionally skilled musicians as multi-dimensional as their rich and layered songs. Each player contributes gang vocals, and violinist Kinley Dowling beautifully drifts around the stage, expanding keyboard and rhythm to her duties. Cellist Romesh Thavanathan, and Gramercy Riffs’ Mara Pellerin on horn and keys add lush gorgeousness. After releasing Plan Your Escape in 2006, Hey Rosetta’s musical transformation has grown from an indie East Coast band to a sonic force. From Into Your Lungs (and around in your heart and on through your blood), recorded at Halifax’s Sonic Temple, produced by Hawksley Workman, and released in 2008, the album garnered several East Coast Music Awards, and landed the band on the Polaris Prize shortlist. Thought it wasn’t until 2011, when Hey Rosetta’s evolved into their larger than life orchestral skins, achieved by working with Belle & Sebastian’s producer Tony Doogan, and truly came into its musical fruition. 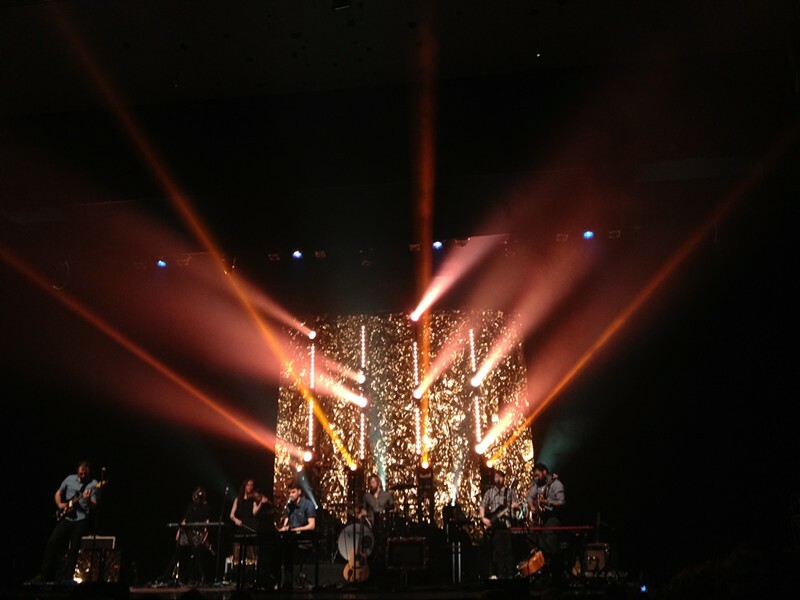 Touring internationally, and gaining mainstream media attention, Hey Rosetta! are no longer an East Coast secret, they belong to the world. With their latest release, Second Sight, produced by Doogan, their signature swelling instrumentation, striking string arrangements, sophisticated emotional ballads, and call-to-arms anthems permeates the band as ever-evolving exploration of authentic sound and texture.